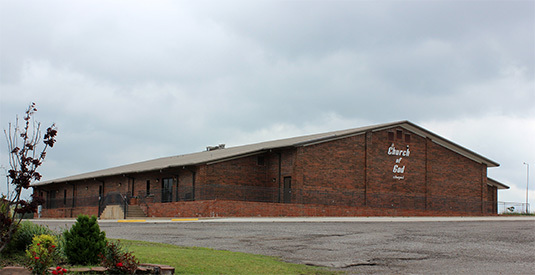 The annual Oklahoma State Camp Meeting of the Church of God will be held at the campground in Guthrie, Oklahoma: May 24-June 2, 2019. The meeting begins the first Friday evening at 7:30 pm. Thursday is designated as fast day. During Thursday morning’s service, the sick are invited to come forward for prayer for healing. After the healing service, we plan to observe the ordinances of foot washing and the Lord’s supper. An invitation is extended to everyone. Your presence and prayers will be appreciated. Three meals per day will be provided and every effort will be made to provide lodging for those who come from out of town or country. There is a ladies’ dormitory and sleeping accommodations are also available in the Sunday school rooms. The Lord has provided us with a separate family unit with twelve private motel style rooms. To the extent possible, these rooms will be reserved for families. Please let us know as soon as possible if you would like to reserve one of the family units and the number of nights you plan to stay. We also request you bring the necessary linens and bath items. Trailer spots are available with power, water, and sewer. We welcome you to the meeting!